Lachesis Publishing is pleased to announce the anthology LOVE & HOPE is now available for pre-order. 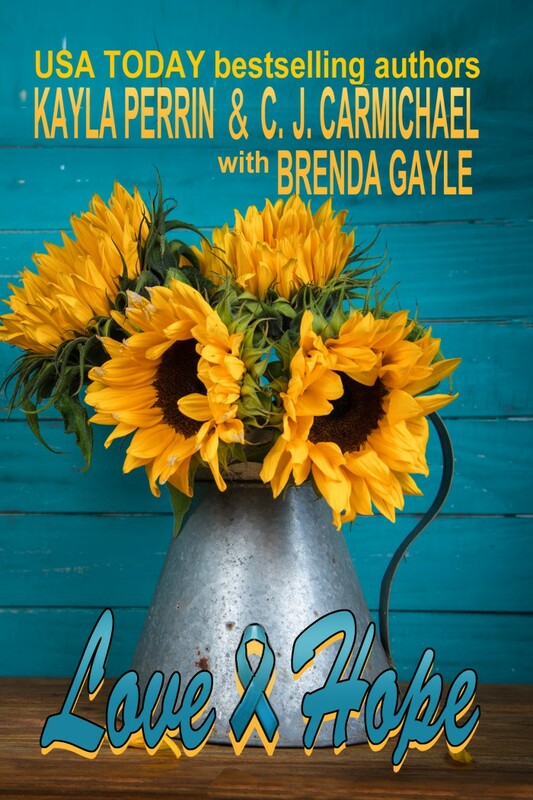 Featuring USA Today bestselling authors Kayla Perrin and C. J. Carmichael and author Brenda Gayle, LOVE & HOPE contains three beautiful and poignant stories about hope, healing, and the power of love. *** Proceeds from sales of this anthology will be donated to Ovarian Cancer Canada. Jill Bennett had her life planned out, and then everything changed. Soon after her husband’s sudden death from a heart attack two years ago, Jill’s daughter Rachel was diagnosed with ovarian cancer at the very young age of 21. Widowed and scared, Jill threw herself into caring for her daughter 24/7. Now that Rachel is in remission, Jill is finding it hard to let go and give her some breathing room at home and at her new job working for a local vet named Grant Palmer. Grant has a knack for getting under Jill’s skin, especially where Rachel’s future is concerned. The last thing Jill has in mind is getting on with her own life. So why can’t she stop thinking about the handsome Dr. Palmer? Tasia Montgomery never thought she’d get “that” phone call from her mom. Stage four ovarian cancer. Tasia puts her job as a chef in a busy restaurant in Atlanta on hold, to go home to Miami to be there for her mother. When her mom passes away, Tasia is left with a huge burden of guilt, sadness, and loss. Now, she is tasked with the duty of packing everything up and selling the family home. She knows her mom didn’t want her to sell but what choice does she have? Her brother Andrew, who is living in Seattle with his wife and their baby, is as distant as can be. Just like their father, who up and left them when they were kids. But when Tasia meets Malcolm Robertson, the contractor her mom hired to renovate the house before she died, Tasia is drawn to him. Her mom treated him like a son and shared things with him that she never revealed to Tasia. Malcolm becomes a good friend to Tasia, but does she want something more with the handsome contractor? As Tasia, sorts through her mother’s belongings she makes a discovery about her mom that shocks her to her core, but will it make her see the truth of her own life or make her head back to Atlanta for good?